ExxonMobil has become the latest international oil major to cut back on its Norwegian operations, after announcing an agreement Wednesday to sell the Balder and Ringhorne oil fields that it owned and operated alone. Exxon has been part of Norway’s oil age since it began, but Norwegian Oil Minister Terje Søviknes wasn’t shedding any tears. “In order to generate new jobs and large state revenues from the oil business in the decades ahead, we need competition and diversity among the oil companies,” Søviknes stated. “We need different types of companies who both can and will commit to the Norwegian Continental Shelf.” He also stressed that Exxon isn’t disappearing from Norway’s large offshore oil industry because it will still own shares in more than 20 producing fields operated by other oil companies including Statoil and Shell. Exxon’s Norwegian chief Morten Mautitzen was also quick to point out that Exxon isn’t abandoning Norway. He noted that Exxon will continue as “a considerable investor in Norway,” with its shares in the other fields operated by other companies. Those upstream assets, he said, generated 75 percent of its net production in Norway last year. 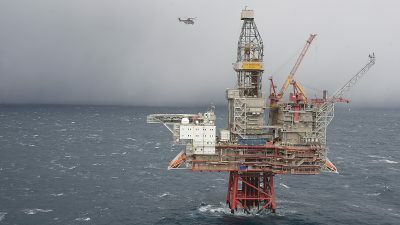 Newspaper Dagens Næringsliv (DN) reported, however, that the sale of the US oil giant’s operated fields to Stavanger-based acquisition fund Hitecvision, for an estimated NOK 8 billion, follows sell-offs by other international oil majors including BP, Total, RWE, Eon and Dong. Shell also announced earlier this week that it is laying off another 231 workers as two of its major projects wind down. The moves come despite Norwegian authorities’ stated desire to have large, major, international oil players active and even dominant on the Norwegian Continental Shelf, because of their competence and financial strength. At the same time, oil industry consultants like Anders Wittemann think it’s “exciting” that new and eager players like Lundin, Aker BP and now Hitecvision have entered and are expanding in the business. 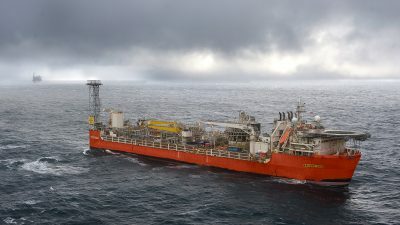 Exxon’s Balder and Ringhorne fields, located in the North Sea around 190 kilometers northwest of Stavanger will now be run by Hitecvision’s oil company Point Resources, which, as the formal buyer, will also take over Exxon’s main office in Sandnes and 300 employees. Point Resources executives are also bullish, with plans to create “new oil billions” for the nation and themselves. Ole Ertvaag, chief strategist of the deal and Hitecvision’s boss, told DN how he was born and reared in Stavanger and admired Exxon since he was 10 years old. “When you work with oil and gas, there’s nothing higher on the nobility chain than Exxon,” he said, noting that the Exxon’s Balder license, “which we’re now buying,” was the first license granted on the Norwegian Continental Shelf. “This is a dream,” he claimed.